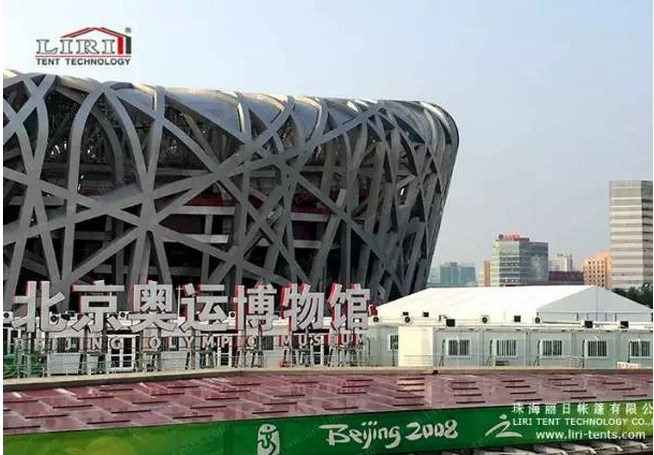 Beijing 2015 IAAF World Championships will have its opening ceremony in Bird Nest on August 22. Liri Tent, designated as the exclusive tent supplier of the tournament sporting events, provide its high-quality with good appearance products on the court and form a beautiful landscape, causing China Daily, Sohu sports, Chinese entrepreneurs and a number of media attention. So far, all the works for stadium renovation, event promotion and media services have been basically completed. In the scene we can see the unique, beautiful and generous tents from Liri, forming a beautiful landscape on the field and highlighting ideas of “Green World Championships”, “Passionate Game” and “Humanistic Beijing”. Several well-known media have reported! 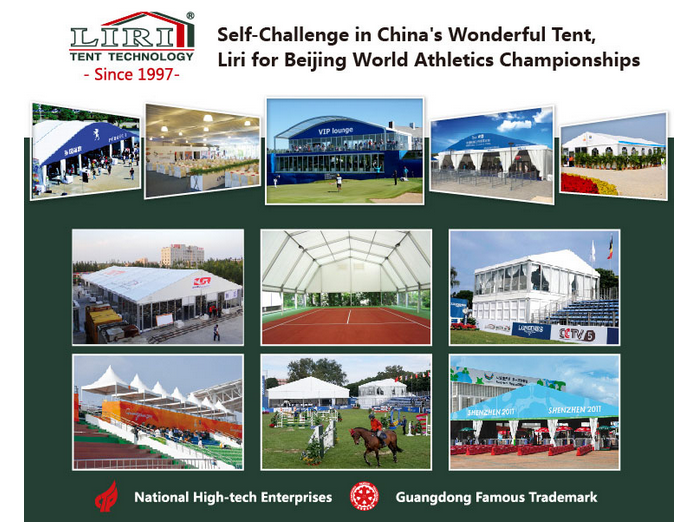 Liri Tent, as domestic high-end tents service providers for activities and events, supply a variety of sports tents and support services for the World Championships, including events security, vehicles security, television service area. Moreover, designated as the tent supplier, Liri takes responsibility to provide high quality of tents and services for all athletes, audiences and staff, as well as involved in event promotion and brand communication activities deeply.